The 2014 release of the English translation of Cixin Liu’s trilogy-opener The Three-Body Problem, already a massive success in China, hit Western SF like an asteroid (how often does a brainy hard sci-fi novel show up on a sitting president’s list of worthwhile books?). Not only brilliant books in their own right, the Remembrance of Earth’s Past saga serves as a reminder of the presence of impressive and unique science fiction outside the English-speaking world. Chen’s research seems to come to a dead end early on: though he makes several fascinating theoretical leaps, real-world experimentation is wildly expensive, and terribly impractical. 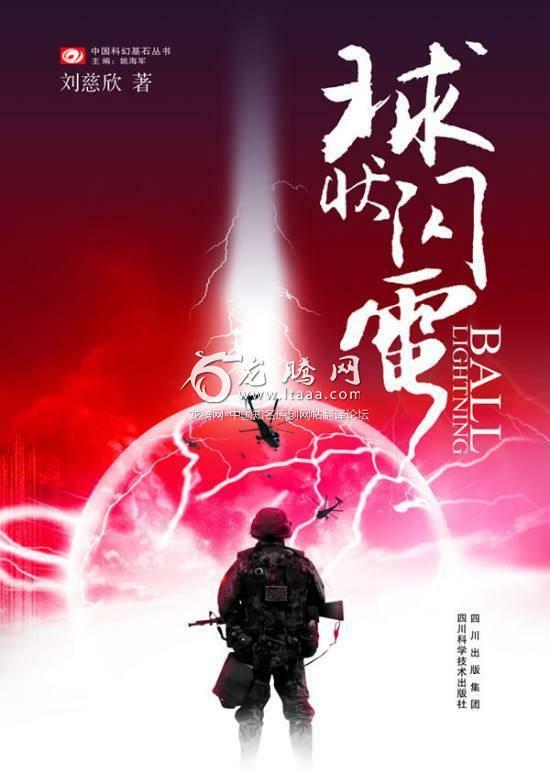 That is, until he meets Lin Yun, an army major exploring the idea of weaponizing lightning. Where Chen is idealistic and inquisitive, Lin is driven and goal-oriented. From here, the real tension arises from that essential conflict, as academics of varying stripes put in appearances to help explore the both paths further. There’s a war brewing in the background, but the author doesn’t spend much time worrying about it—perhaps because Chen finds it of little concern. He’s not the kind of person to worry about the broader world when there’s a compelling scientific mystery to unravel. Until the 1960s, ball lightning wasn’t a broadly accepted phenomenon in scientific circles. The closest thing we have to a photograph of it is a 2014 image of the light spectrum produced by ball lightning using a high-speed camera in Lanzhou. Most of the data around it comes from eyewitness accounts, which places it on just this side of rationality. But it’s just what it sounds like: a form of lightning somehow condensed into floating balls that linger much longer than a typical lightning bolt, and often explode—sometimes with deadly consequences. It’s an incredibly mysterious natural force that we’ve only recently moved from the realm of the near-paranormal into the field of science. Liu uses the liminal nature of ball lightning to his advantage: a book about scientists pursuing ghosts would be fantasy, but here, he gets to have all the fun of a ghost story while dealing in concepts much more tangible. It’s such an ingeniously perfect premise, I’m surprised no one thought of it before. He starts with what we know about ball lightning and extrapolates wildly from there, yet the cutting-edge nature of the subject means there’s at least some possibility his speculations will turn out to be correct. Liu does something different here than in his celebrated trilogy. There is no looming alien invasion, and the most dramatic moments involve discovery. But he builds tension as masterfully as ever, as Chen’s indifference to the real-life consequences of his ruthless pursuit of knowledge ultimately become a threat to himself and to the world. He comes to see ball lightning as an almost conscious force that exists to vex and intrigue him, and so do we. Ball Lightning makes an antagonist out of atmospheric phenomena and finds moments of unbelievable suspense in scientific research. It’s a quieter book than The Three Body Problem, but but no less potent a reminder that Cixin Liu is a vital, singular voice in modern science fiction. Ball Lightning is available August 14.